Happy Monday to you & hope you had a weekend as eventful as my own. I survived my last 2016 wedding, my 1st Ica Images Ice cream social, a painful-late-night trip to the emergency room & hosting our annual Friendsgiving. Survival was my goal and now that we've made it to Monday I want to say a giant WOOHOO & THANK YOU for sending some love my way via social media through out the whole weekend! With that said & with Thanksgiving just a few days away I also wanted to say a small but very tangible thank you for supporting Ica Images this year, by hosting a Thanksgiving GIVEAWAY. And if you stick around till the end of this post I'm making a 2017 announcement I've been dying to share with you! If you've never heard of 31 Bits, they are a jewelry company with a mission I adore. And no this is not a sponsored post, I simply love what 31 Bits is about & I love their jewelry. I have this same necklace in gold/white & wear it all the time so who ever wins this bad boy, I'm sure you'll feel the same way once you receive it. "OUR GOAL IS TO EMPOWER PEOPLE TO RISE ABOVE POVERTY. ON TOP OF THAT, WE CREATE PRODUCTS WITH EXCEPTIONAL QUALITY AND SOPHISTICATED DESIGN"
H O W: Click the sign up box below & subscribe to our monthly newsletter to enter our giveaway. Don't worry I hate spam emails & I won't fill up your inbox like crazy (ain't nobody got time for that). Entry open until midnight, EST Thursday, Nov 24th 2016. Winner will be announced here on The Journal Friday, Nov 25th 2016. Finally an announcement I've kept secret for some time now. But you all asked for it ... so now here it is! 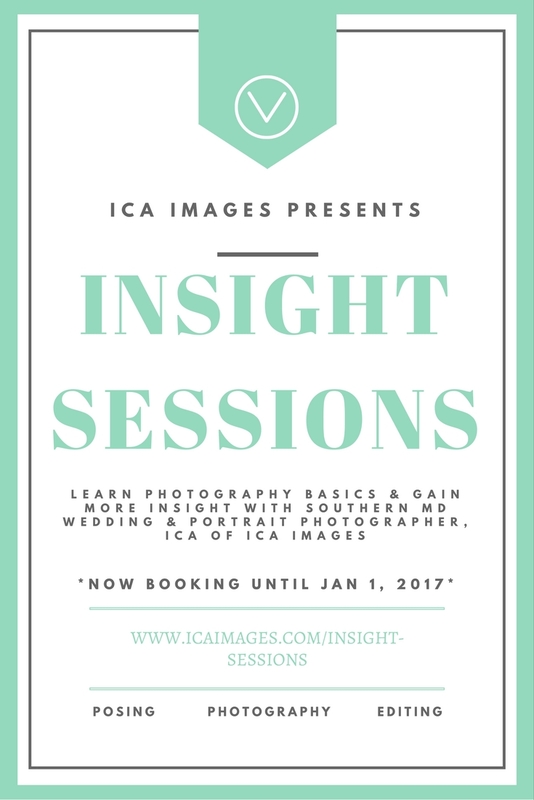 I've been humbled by the amount of both friends & strangers who've asked for basic photography advice or training & come 2017 I'll be hosting a few of these Ica Insight Sessions to help you all with just that! If it weren't for the internship I did with I'm Kristen Photography way back when, Ica Images wouldn't be where it is today. Maybe this will be the start of your photography ambitions, or maybe you just want to know how to work your brand new camera that you know Santa will get you for Christmas this year. Who's to say? And if this session isn't for you but you know someone who'd love this as a Christmas gift we can make that happen to. If you are anything like our family, we love gifting experiences over material things. Click the image above or click HERE for more info.